We are fortunate in having Penny Lawrence presenting at this open meeting. Penny ran the video centre and worked in the documentation team at the municipal pre-schools and infant–toddler centres of Reggio Emilia for three years. She is currently Senior Lecturer in Early Childhood Studies at the University of Roehampton. 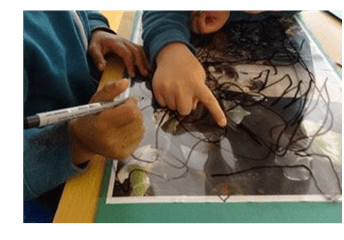 Penny will draw on her experience working in Reggio to consider how the 100 Languages of Children are involved in dialogues between children and the world around them. Please Note: 4 - 6.30 p.m.